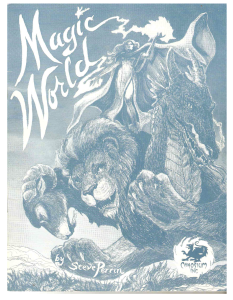 Wherein your humble scribe presents an adventuring party for the original Magic World (from the Worlds of Wonder boxed set). As I’ve said before, this is BRP at its most basic, stripped down (well, pre-built up, really) and ready to rock. This entry was posted in Basic RolePlaying, NPCs, Rogues Gallery, Vintage Magic World, Worlds of Wonder on January 5, 2014 by the venomous pao.